Foto stock: óculos · poupança · mulher · feliz / Glasses eyewear savings piggybank. 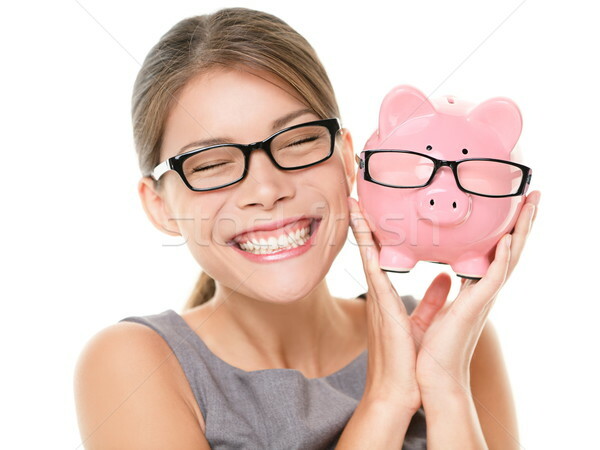 Woman happy excited over saving money buying glasses. Young beautiful multiracial Caucasian / Chinese Asian woman isolated on white background.